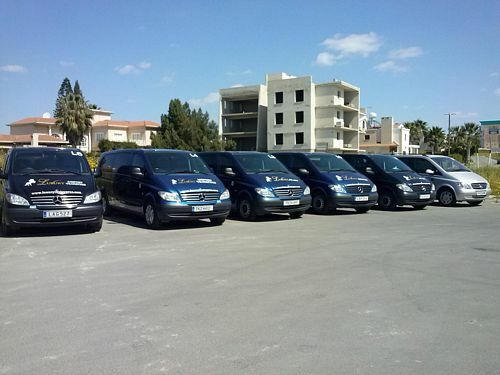 Luxury Taxi Cyprus Ltd – Your safe transfer in Cyprus! Luxury Taxi Cyprus was established from a group of professional taxi drivers, in order to provide transportation in Cyprus of high standards. The recognition of the quality of our service was immediate. Multinational companies, tourist agencies, conference offices, as well as private citizens trust us daily for their transfer in Cyprus. Meeting our clients trust we keep our standards up. Our cars are new MERCEDES-BENZ models, manned with linguist, professional drivers with many years of experience in VIP transportations. It is nice to know that a friendly, professional person, will wait for you when you arrive at the Larnaca airport. You don’t have to wait in the taxi line or waste your time looking for your transfer. Our professional, friendly English speaking driver will ensure your safe transfer from arrival to destination, anywhere in Cyprus, in comfort eliminating the risk of unpleasant surprises. All our vehicles are modern Mercedes. Our most-used Luxury Taxi, the E-Class, represents the heart of the Mercedes-Benz brand. This mid-size series has always combined outstanding comfort and unbeatable reliability with top levels of safety and innovative technology. 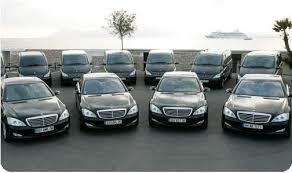 Many of a customers are repeat customers, knowing that they will have the best service in airport transfer. For first class VIP travel, why not be met by a Uniformed Driver and be chauffeuring Driven in a Limousine to your destination. A Luxury Taxi Limousine, which can happily seat 6-7 Passengers and has luggage room for 6 large cases, plus a couple of flight bags. Very comfortable and a perfect inclusion to your first class travel arrangements.